Our adventurous Legal Assistant, Jake Besaw, gained consideration in the Australian of The Year Awards this January. He was a guest of parliament for the day and made use of this honour, to meet senators and discuss the various issues his foundation is working to combat. When Jake is not in the office at HCA, he runs his not for profit organisation ‘The Aaron Foundation’. Jake runs various educational outreach programs, where he primarily reaches out to young people who are at risk of or are currently experiencing homelessness. He helps them with essential skills and resources to get them back on their feet, regaining confidence in themselves and having a purpose in life. Jake is able to help these young people obtain short term accommodation, write a resume, help with interview skills, provide appropriate clothing for an interview, obtain training for employment and gain entry to tertiary education that will ultimately improve their employability and skills. Jake started his educational program in 2015, when he initially started working at our city office and was overcome with how many homeless young people there was around the CBD. Jake spent weeks making friends with homeless young people during his lunch break, sharing lunch with them and getting to know them and their stories of how they became homeless. This gave Jake an insight and an effective approach to help them get back on their feet. 9 out of every 10 young people were on the street due to family violence. Accommodation at a youth refuge could leave these young people on a waiting list for many months, so they had no choice but to sleep on the streets. Unfortunately, these young people also had extreme difficulty in gaining any benefits from Centrelink, due to initial waiting periods and a requirement for ID, which is something that many young people didn’t have. This caused initial waiting periods to blow out exponentially, as they awaited their replacement cards. Jake realised that the best way to help these young people was to assist them in gaining employment, as they can then afford their own accommodation. Jake created a class on ‘job skills’ which he taught on footpaths and in alleyways, where these young people spent time. This was the first step in rebuilding their lives. 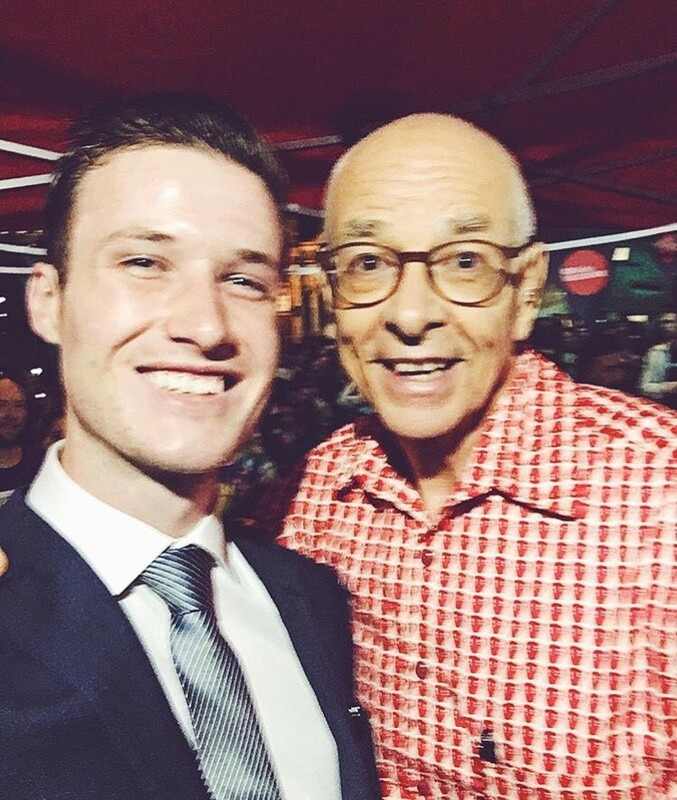 However, after teaching these classes for 3 months and meeting so many incredible young Melbournians that were doing it tough, Jakes classes became well known (you may have even seen him around the CBD yourself). He was contacted by a Melbourne charity who had a spare office space where he could teach. Jake has taught there ever since and so far, he has taught over 200 students. What an impact! Some students have incredible stories and one such student is Heath. Heath was a student of Jake’s Program in 2015, who at the time was on the verge of homelessness. Jake assisted Heath with improving his employability and to also gain entry into studying a Diploma of Community Services. Heath was so grateful for his opportunity of a helping hand he wanted to study so he could help other people in situations just like his. Heath gained employment and successfully graduated with distinction. What an achievement! After his graduation, Heath was met by the honourable Martin Foley MP, Minister for Housing, Disability and Ageing, Mental Health, Equality and Creative Industries. At the time Mr Foley was announcing the Federal Government’s $799 million funding program to combat homelessness and he used Heath’s remarkable story as an example of how incredible our young Australians can be when they gain a helping hand. Heath has since transitioned into studying his Bachelor of Social Work, gained a volunteering opportunity with the Office of The Public Advocate and is now working along with Jake on the Aaron Foundation. What an incredible young man! 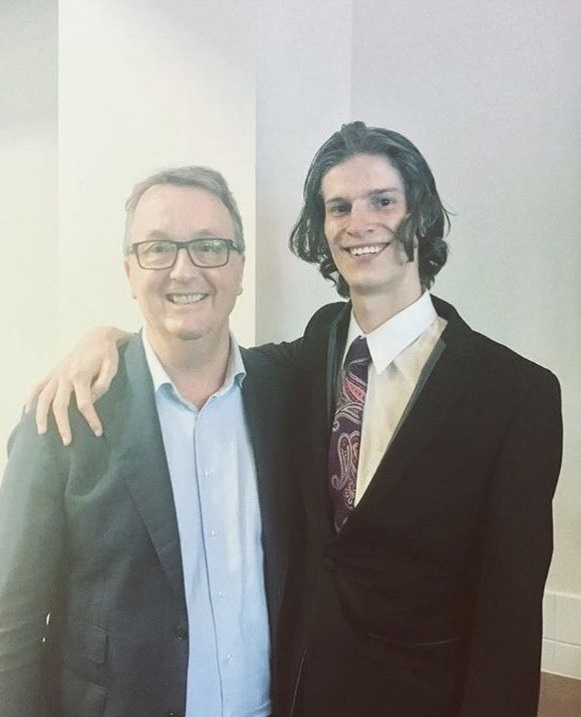 Jake has been able to use his experience and knowledge of the pervasive issue of Youth Homelessness in meeting with media personalities such as Channel 9’s Peter Hitchener. Jake was invited by Channel 9 to their Melbourne studios, to meet Mr Hitchener and discuss youth homelessness and its deep connection to family violence. 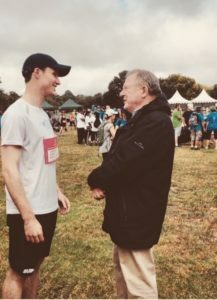 Mr Hitchener has become a friend of Jake’s since then, as they now regularly meet up on funding campaigns for the Monash Children’s Hospital, where they are both volunteers. 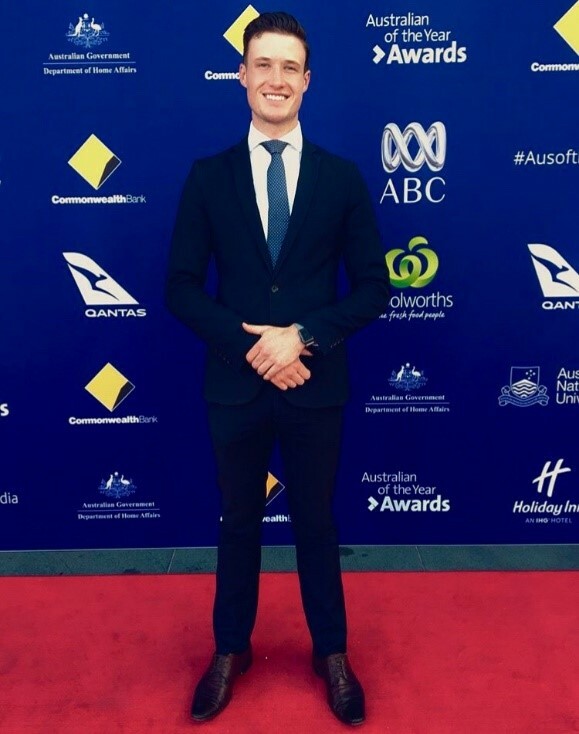 Jake was in final consideration for the Australian of The Year Award exclusively for his community work in Melbourne with The Aaron Foundation. However, he has other educational outreach projects internationally such as in Addis Ababa in Ethiopia. Jake chose Ethiopia as it has one of the lowest literacy rates in Africa, with literacy having such a direct link to poverty. 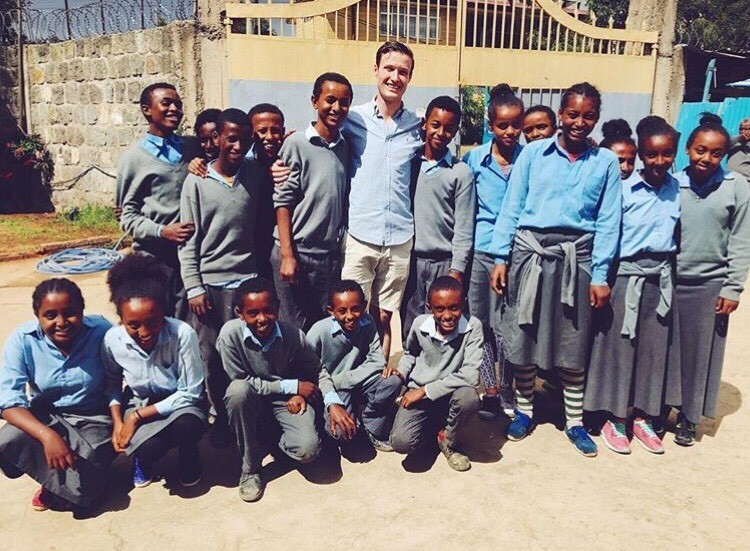 Jake ran classes at a school in Addis Abba, the capital of Ethiopia, where he taught classes on Science, Mathematics and English to students who were all graded as experiencing extreme poverty. With the assistance of a translator, Jake also visited each students’ home and family after each day of teaching, in an effort to understand and document how education is changing their lives and family situation. Jake saw multi-generational poverty with these families and experienced firsthand the power and hope that education holds. These students and their future children, will be the first in many generations of their family to break through poverty and have the chance to live a better life. Jake is continuing his work in the region through his science outreach program, which is in partnership with the friendly and outgoing Dr Karl Kruszelnicki, a very well-known Australian Scientist and advocate for ‘Scientific Literacy’. 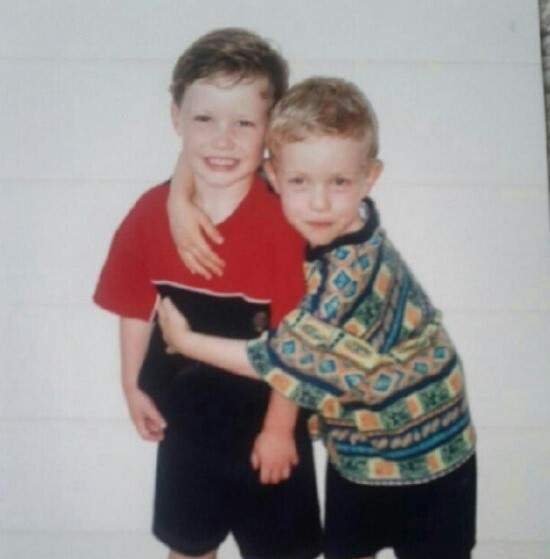 Jake started the Aaron Foundation in commemoration of Aaron Piroska, who was Jake’s closest friend from a very early age. In 2011, Aaron tragically died in a motor vehicle accident where an underage, unlicensed driver was behind the wheel and all occupants, apart from Aaron had a seatbelt available. Aaron and his friends were leaving a party and were offered lift by the driver, who was unknown to Aaron. As it turned out, this driver was underage and unlicensed and there were too many passengers in the car for the number of seatbelts. Aaron insisted that his friends and girlfriend put on their seatbelts, which left Aaron to go without. Unfortunately, the unlicensed driver had a high impact collision and Aaron was thrown from the vehicle, dying on impact. Aaron was the only fatality in this collision and not wearing a seatbelt was the primary cause. 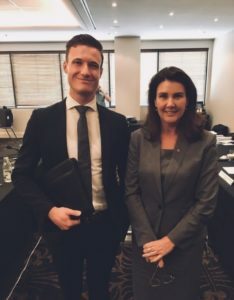 Aaron’s beautiful parents along with Jake have made it a mission of theirs to advocate for safety on Victorian roads and have been heavily involved in the matter. The CEO of the TAC Janet Dore said the tragic deaths of 16-year-olds Ebony Dunsworth and Aaron Piroska in separate crashes in 2011 were harsh reminders for young people to look after their mates and take care on the roads. The TAC has started an initiative for the care and safe travel of young adults. The Vanessa Bus can be found at youth events such as music festivals, being a haven for a place to chill out and be a support for young peoples’ safety while out at about. Jake’s commitments to helping others has been inspired from a saying that Henry Carus once gave him – ‘There is truly no better use of one’s life, that using it in service of others’. Jake loves working at Henry Carus & Associates as he knows that everyone at the firm also strongly believes and lives up to that saying. That’s how they are able to have a connection with clients, showing concern and empathy for each and every client. Jake is one of many caring staff at HCA, who are all examples of our new slogan, ‘we care more, because you deserve more’! To help homeless youth in Melbourne and childrens’ education in Addis Ababa, you may donate to the Aaron Foundation. What if My Psychiatric Accident Happened a Long Time Ago?